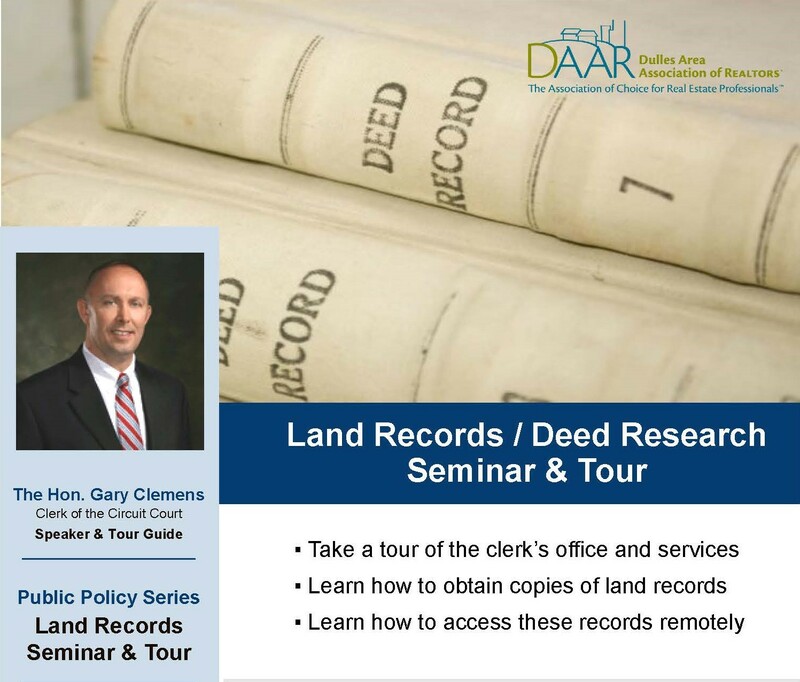 DAAR and Loudoun’s Clerk of the Circuit Court have teamed up to provide a Land Records/Deed Research Seminar and Tour on Friday, May 10th, 3-5PM at the Loudoun County Court House, 18 East Market St. Leesburg, VA. The Honorable Gary Clemens, Clerk of the Circuit Court, and expert land records staff will lead a tour of the Clerk of the Circuit Court’s office and services, discuss how to obtain copies of land records, and explain how to access land records remotely via subscription. Free for DAAR members. For more information, view the flyer Register online today!